The Summer Infant 3Dpac CS+ Compact Fold Stroller is a lightweight stroller that rides easy, folds fast and slips into your car with ease. Don’t let its small size fool you! 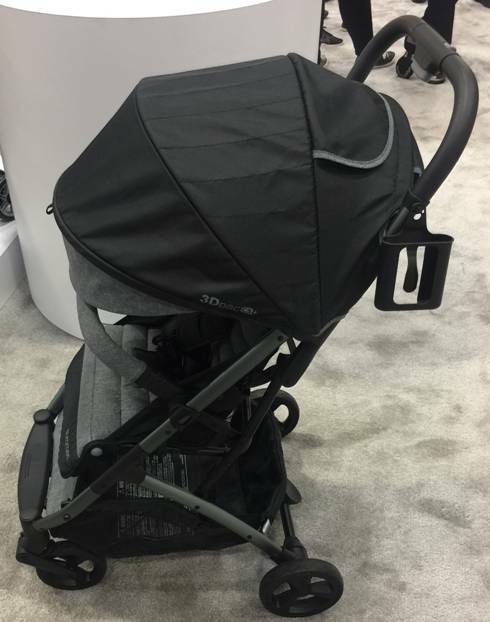 At only 16 lbs., the 3Dpac comes with all the bells and whistles of a full-sized stroller and will quickly become your go-to stroller for every day use. It comes “pac’d” with convenient features - like auto-lock, one-hand standing fold and a large storage basket. It can be used from birth with the use of select Graco and Chicco car seats to easily transition from baby to big kid. 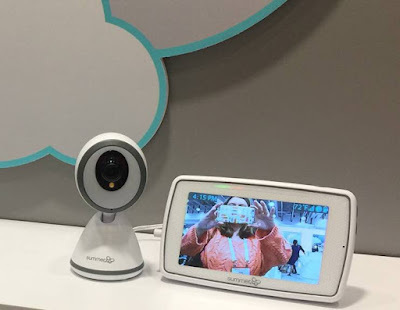 The Summer Infant Baby Pixel 5.0 Inch Touchscreen Color Video Monitor is pioneering new technology and bringing a greater level of safety and control to the hands of parents everywhere. The Baby Pixel provides peace of mind by helping parents see and hear their babies day or night, and alerts them of any movement. The SleepZone Virtual Boundary notifies parents when a safe boundary is breached. The camera’s Moonlite Night Vision Boost gently lights up its viewing area for a crisp, full-color view of baby in the dark, while the monitor’s 360Tilt Camera Steering puts a realistic spin on remote control viewing. This ultimate baby monitor also includes a 5-inch color LCD touchscreen, voice activated screen wake-up capability, talk-back feature and temperature display, making it a complete package at a great price. The Summer Infant My Bath Seat is a helping hand to parents at bath time, and is perfect for increasingly mobile little ones as they transition to an adult tub. This one-of-a-kind support seat is designed to be your extra set of hands when your soapy little bundle begins exploring their independence. With its three sturdy arms for 360° of support, high backrest and spacious frame, you can keep your baby securely in place while freeing up both of your hands to scrub and play. The Sure & Secure Suction Cups on each of the seat’s arms creates stability and allows for easy set-up, removal and storage. 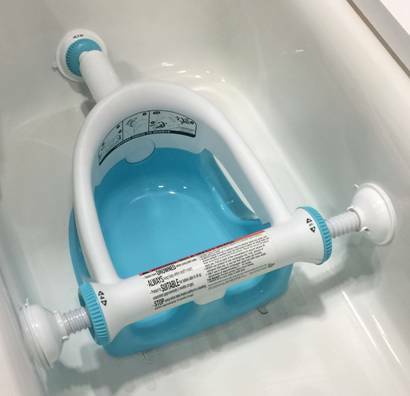 The Summer Infant® My Bath Seat is JPMA Certified, conforms to the ASTM F1967 Standard Consumer Safety Specification for Infant Bath Seats and is recommended for children from 5 to 10 months. IT IS NOT FOR USE AS A SAFETY DEVICE, AND PARENTS MUST ALWAYS KEEP THEIR BABY WITHIN REACH. The bath seat and monitor are currently available online and the stroller is coming this month.